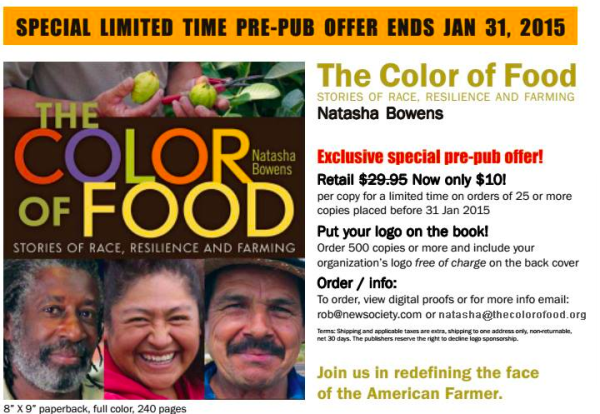 Natasha has spent the past four years gathering stories from Black, Native, Asian and Latina farmers and food activists who are revolutionizing the food system and preserving cultural foodways around the country. 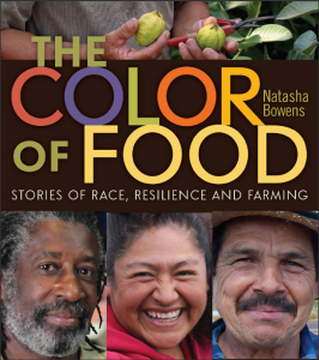 Natasha started the multimedia project in 2010 after exploring the intersection of race, food and agriculture on her blog Brown.Girl.Farming. and for Grist magazine, her work has now garnered national media attention such as The Atlantic, CNN, Bill Moyers and Colorlines. You can see stories and portraits from the project on thecolorofood.org, across social media and at live presentations and exhibits nationwide. The book will be published this spring and pre-orders are available now.